As summer weather comes roaring in with temperatures already hitting the 90 degree mark, a cool, refreshing treat has also returned to Warrensburg, Mo. After a five month absence Orange Leaf, a national franchise dealing in frozen yogurt, has returned located at 303 E. Cooper Blvd, Suite D.
Orchestrating the return is owner Casey Flowers, who is not a restauranteur by trade. Flowers has a background in marketing and media. Due to being such a fan of the Orange Leaf product, she decided to revive the local store. 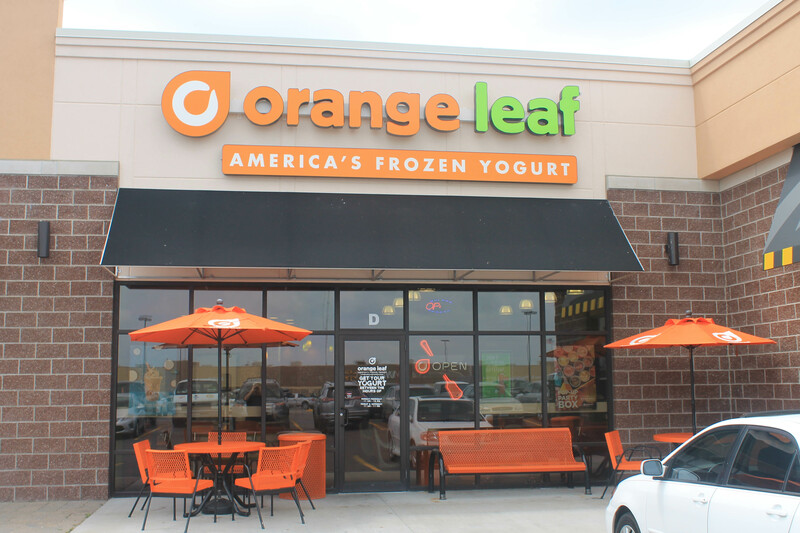 Orange Leaf’s doors re-opened for business on June 1. Flowers said in the past two weeks she has been greeted by the diehard fans who had missed the place. Flowers said Orange Leaf is a kid friendly environment. 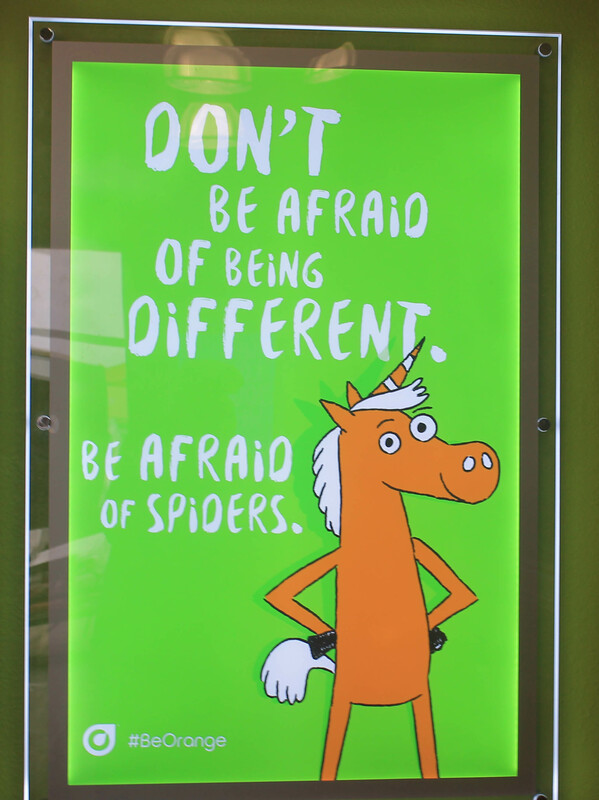 Bright neon orange and green decorate the decor of the store, and posters of cartoon-like illustrations of Orange Leaf’s Orange Unicorn mascot are on the walls. A poster on the wall of Orange Leaf in Warrensburg. Orange Leaf offers something for a variety of tastes and age ranges. Flowers said they will soon be carrying smoothies, which she said would appeal to adults. She said the most popular flavors include cookies & cream, Reese’s Peanut Butter, brownie batter, and birthday cake. With her community building campaign, Flowers hasn’t neglected to keep the college population at University of Central Missouri in mind. “Warrensburg is very good about integrating UCM into the community, and we want to make sure to do that as well,” Flowers said. 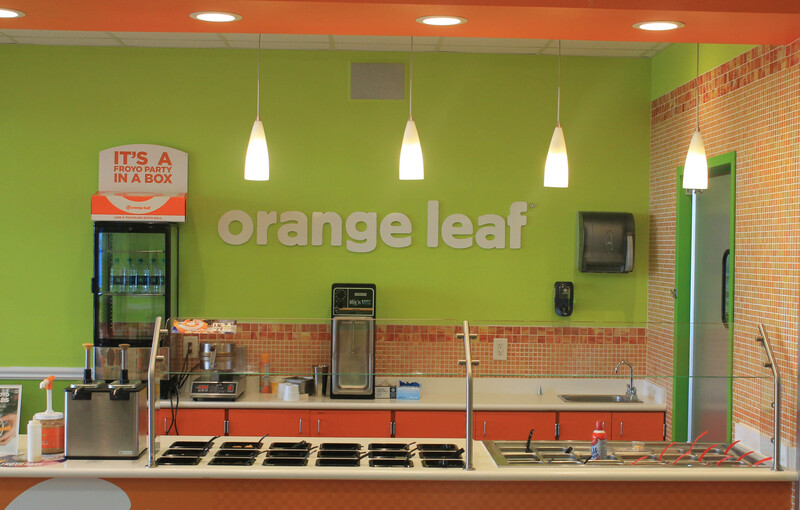 Flowers said distributing free samples of Orange Leaf frozen yogurt in the student union is a possibility. She noted the row of couches and the free Wi-Fi at Orange Leaf as possible draws for college students, and that it could be a nice place to study , due to the store’s usually quiet environment. Although Orange Leaf has been back in operation for a couple of weeks, an official grand opening event is scheduled for Saturday and will include features and bonuses that aren’t typically a part of the everyday operation at Orange Leaf, including a bouncy house and face painting. Free froyo will be available from 12-2 p.m., followed by a buy one get one free froyo offer from 2-4 p.m.
For more, follow Orange Leaf Warrensburg on Facebook here.